Finding Soul Balance: Top Chef fans, guess who I met tonight? And guess who was there? 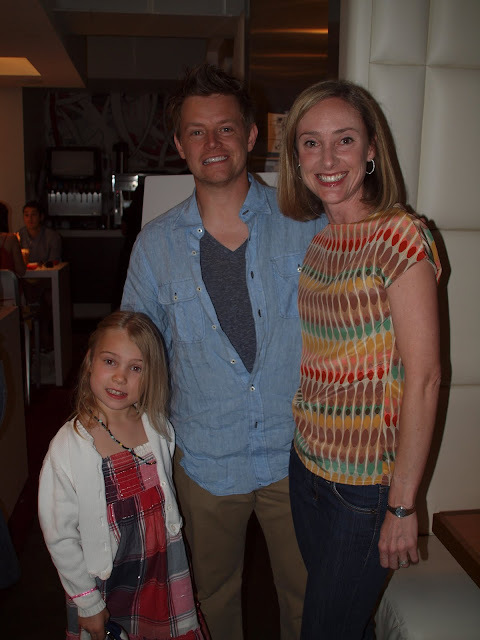 ﻿Richard Blais! Recent winner of Top Chef All Stars and owner of Flip. After cheering for him on so many episodes, it was surreal to meet him. It made me feel like I was on a reality show for a minute. That's my dad. (I bet he never thought he would make it onto my blog.) In the reflection of the silver lamp shade you can see my husband, me, my daughter, my mom, and a blur of my other daughter. It was an altogether satisfying experience.